The first milestone of NASA’s Cube Quest Challenge has been reached, as teams competed in the first of four ground tournaments in August. The five highest-scoring competitors will each be awarded $20,000. 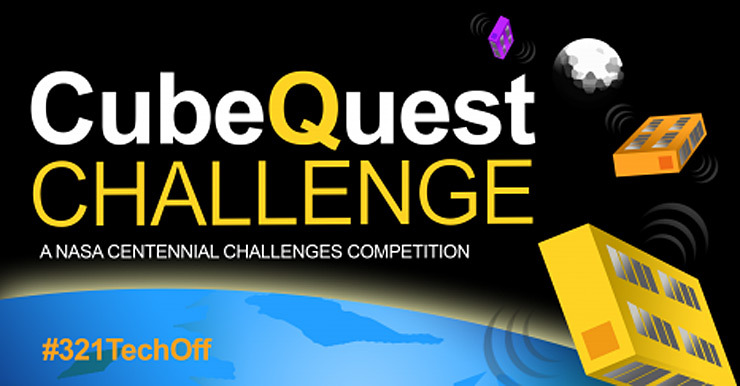 Cube Quest is a competition to build flight-qualified, small satellites capable of advanced communication and propulsion near and beyond the moon. Teams that achieve top performance at high-speed data communications, navigation and survival after achieving lunar orbit or a minimum long-distance range from Earth compete for an unprecedented $5.5 million prize purse in NASA’s first ever in-space challenge. Cube Quest is part of NASA’s Centennial Challenges Program, which accelerates technology by engaging non-traditional sources in competition. The ground tournaments are a series of ground-based checkpoints that allow the judges to review the teams’ progress and to incentivize advancement with intermediate awards. At Ground Tournament 1, (GT), 13 teams presented their spacecraft and mission designs to a panel of judges from NASA, industry and academia. Judges assessed all the team submissions — engineering designs, plans, analysis and models — as well as presentations by each team. Judges award points ranging from 0 to 5, 5 being exceeds expectations or analysis indicates excellent likelihood of achievement. GT-2 is scheduled for February 2016. Following completion of the ground tournaments, Cube Quest will continue with the Deep Space and Lunar Derbies. The Deep Space Derby will focus on deep space communications using small spacecraft, and the Lunar Derby will focus on propulsion for small spacecraft and near-Earth communications. The winning teams will be formally recognized Wednesday, Sept. 9, during a media telecom, and there will be an opportunity for media to interact with teams and challenge personnel. NASA's Centennial Challenges Program is part of the agency's Space Technology Mission Directorate. The program is managed at the agency's Marshall Space Flight Center in Huntsville, Alabama, and the Cube Quest Challenge is administered by the NASA's Ames Research Center at Moffett Field, California. Learn more about the challenge and how to register at www.nasa.gov/cubequest.